Pine Branch Christian Camp - Jeremiahs Hope, Inc.
Construction began in June 2008, on our new 12 acre Christian camp facility in Kolentsi, Ukraine. When the Board of Directors originally agreed to allow Andrew and Jenny to build a camp, a five year timeline was set for the project and instructions were given that nothing was to be built until all funds were in place to build that next stage. 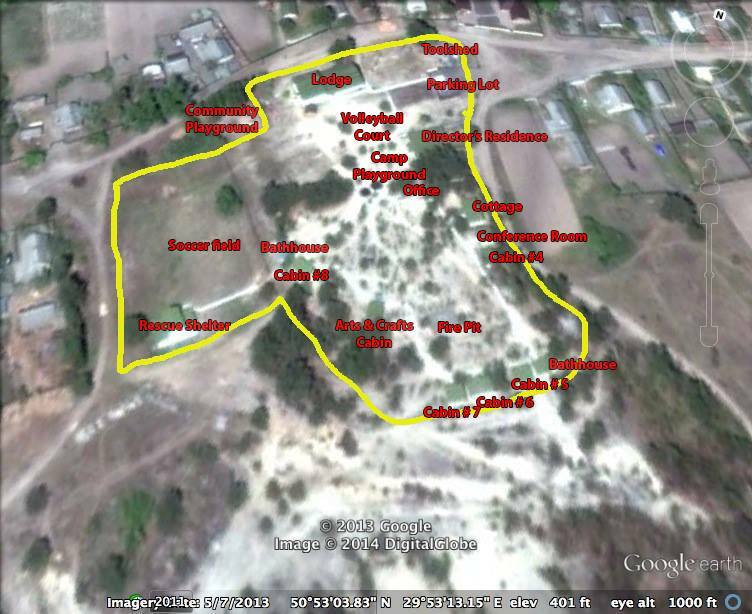 The original plan called for the camp to open to campers during the summer of 2011. GOD HAD OTHER PLANS! One year later, in June 2009, Pine Branch Christian Camp opened and was able to host over 200 campers over 5 weeks of camp. Just one year after construction began, God had already provided the funds and labor to build three years into the future. God still continues to amaze us! All year long, we organize a variety of camps, activities and events for at-risk children, orphans and those in our community. Each of these activities are designed to allow Jeremiah's Hope an opportunity to expose children to the gospel, to loving adult role models, and provide a foundation of trust upon which we can build long-term ministry. For some children, their time at camp is a rare time of safety away from abusive situations. For others, it is an exciting time of hearing about a God who cares for them for the first time. Still, for others, it is where they made a commitment to Christ.